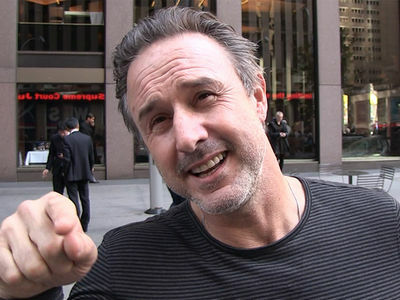 David Arquette was bloody, mangled and nearly tortured Friday night in a wrestling match ... and there was NOTHING FAKE about it. David was in a 'deathmatch' -- that's the name and not really an understatement -- at a Game Changer Wrestling event that went down at The Hi Hat. The actor-turned-wrestler was up against Nick FN Gage and it was just brutal. Gage broke a light tube over Arquette's head. You see David grab his neck as blood pours from the area. Shockingly, the fight continues. Toward the end, it looks like David gives up, climbing out of the ring, but then the 47-year-old hops back in as he bleeds profusely. Gage stomps on him, but David fires back by smacking Gage with a chair. It didn't take long ... David gets pinned. He ended by saying death matches weren't his thing ... and that's a good thing.